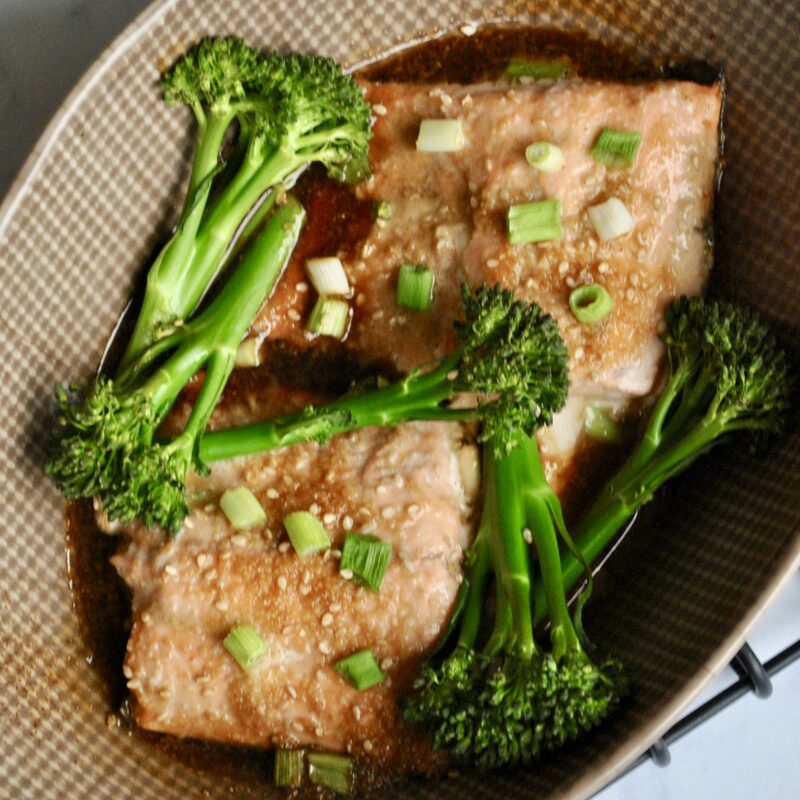 This teriyaki-glazed oven-baked salmon has become a staple dinner in my kitchen. It’s my go-to recipe when I come home from a long day at university and don’t want to make anything too fancy or complicated. The recipe uses simple ingredients, most of which I always keep in the pantry anyway, to create a homemade sticky teriyaki glaze, sweetened with honey. 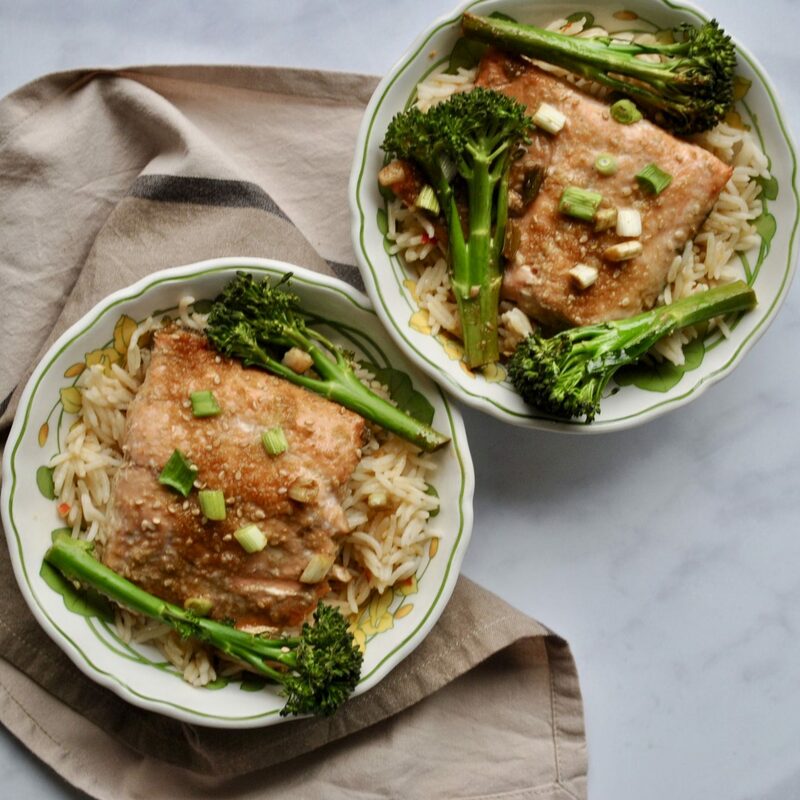 This juicy flaky salmon is baked to perfection and bursting with so much flavour – it’s sweet yet savoury and the delectable glaze is easier than you think! In terms of nutrition, wild salmon is high in Omega 3 oils which is essential to so many functions of the body, from the nervous system to maintaining a healthy inflammatory response. 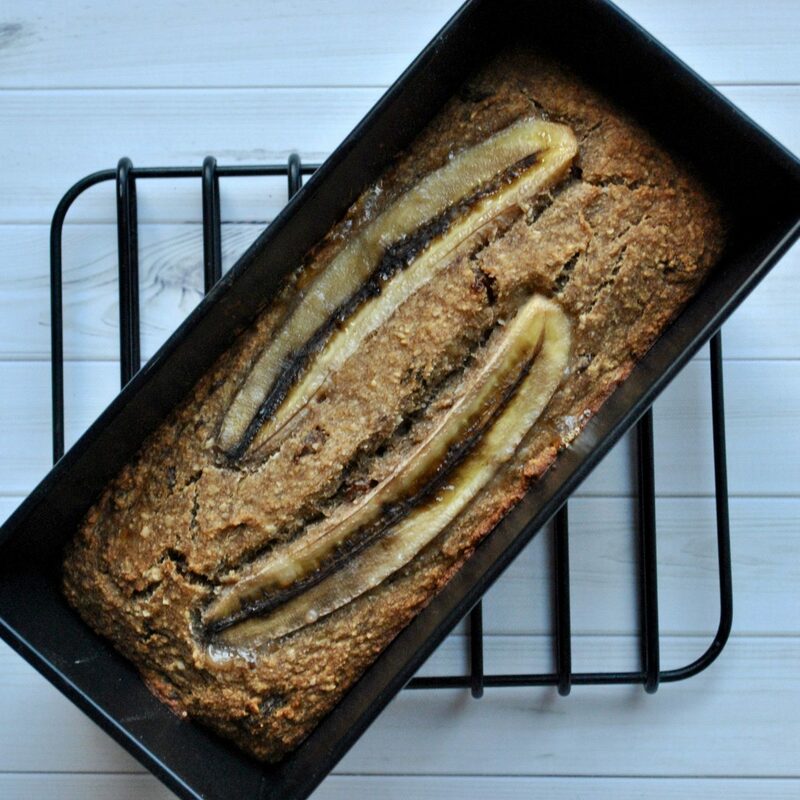 It is also packed with protein, B vitamins and several minerals including potassium and selenium. 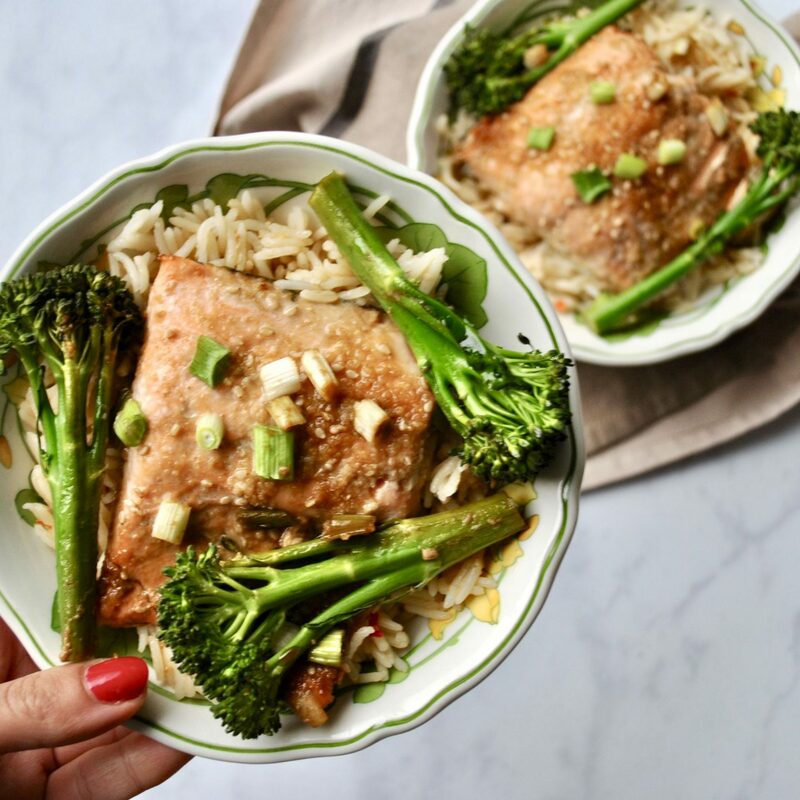 I love serving this teriyaki salmon alongside some rice and green vegetables like broccoli or asparagus, but this could of course be swapped with whatever you have in the fridge – mushrooms, peppers, carrots or anything else will still be delicious in this recipe! This recipe has been sponsored by Alaska Seafood. Line a large baking tray with greaseproof paper, tin foil or simply brush it with cooking oil of choice. In a small bowl or mug, stir together all sauce ingredients until well combined. 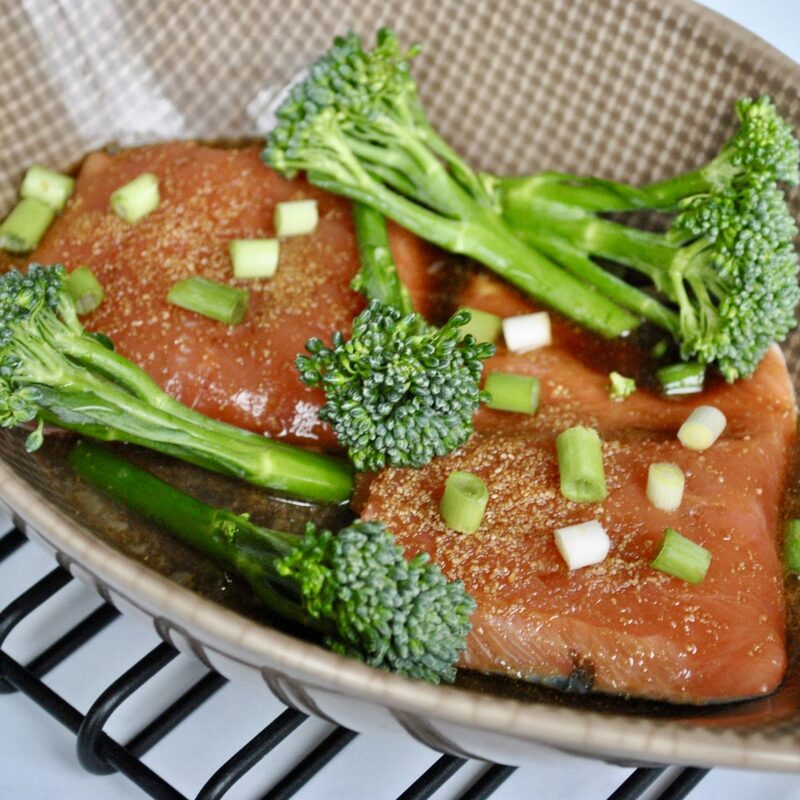 Place salmon in a mixing bowl, pour over the sauce, cover and leave to marinate for 20 – 30 minutes. Pre-heat the oven to 200 C.
Transfer the salmon to the baking tray and place the vegetables on the tray. Pour the remaining marinade on top and sprinkle with chopped spring onions and sesame seeds. Bake for 13 – 15 minutes or until salmon flakes easily with a fork. A thicker piece of salmon may need another few minutes. Meanwhile, bring the rice to a boil, then add in the lemon juice and chilli flakes and simmer for 10 – 15 minutes. 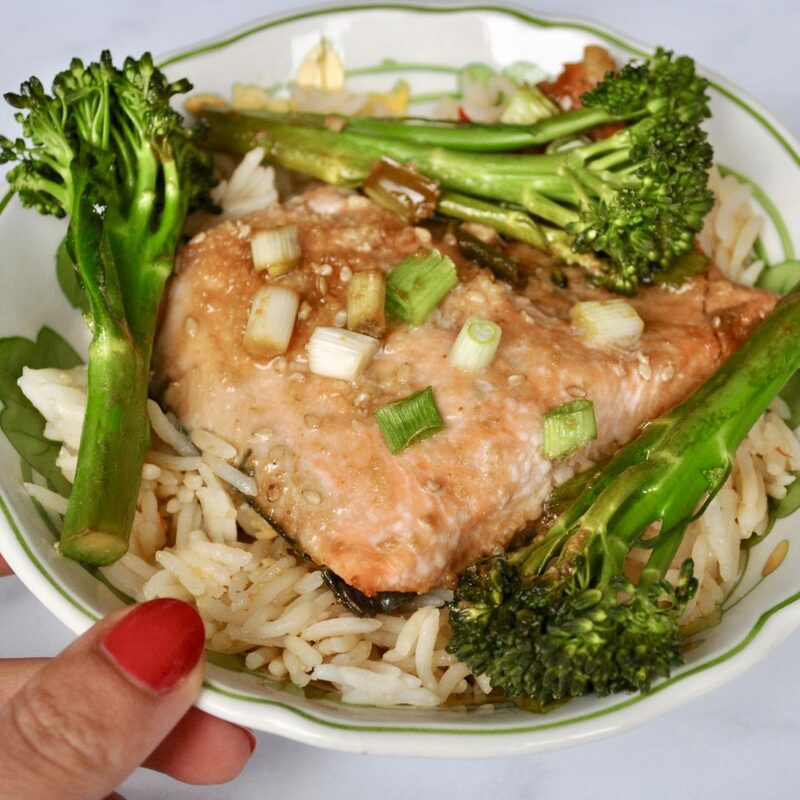 Serve salmon over the rice and enjoy hot, or allow to cool then keep in the fridge for up to three days.